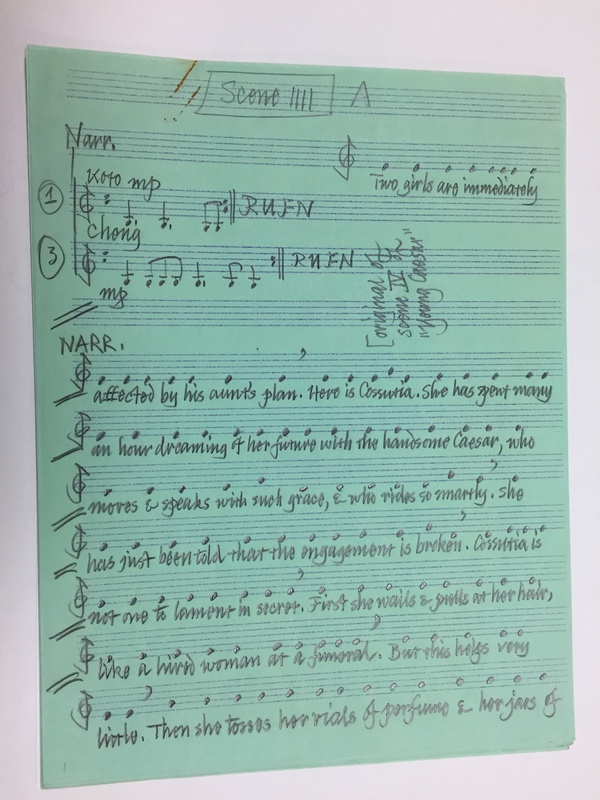 The coincidence of the anniversary, in June, of the events leading to the gay liberation movement in the United States, and the centennial of the birth of the composer, activist and gay icon Lou Harrison, in 2017, affords us the opportunity to highlight some important Harrison materials at the Loeb Music Library. Lou Harrison was born in Portland, Oregon in 1917. His family moved to northern California in 1926 and most of Harrison’s career would be spend there, studying with Henry Cowell at San Francisco State College and with Arnold Schoenberg at UCLA, and teaching at Mills College, UCLA and other institutions. Travels in Asia and study of Asian instruments (Korean double-reed p’iri, Chinese psaltery, Indonesian gamelan) inspired a compositional style which incorporated Asian and Western styles and instruments. Harrison’s contributions to gay culture include several works for gay choruses, the best known of which is Three Songs, commissioned by the Portland Gay Men’s Chorus in 1985. Another commission from the same group in 1988 was a reworking of Harrison’s opera Young Caesar, to which he added several choruses. The Music Library’s collection of Lou Harrison materials covers the years 1945 to 1991, with most items dating from the 1970s and 1980s. 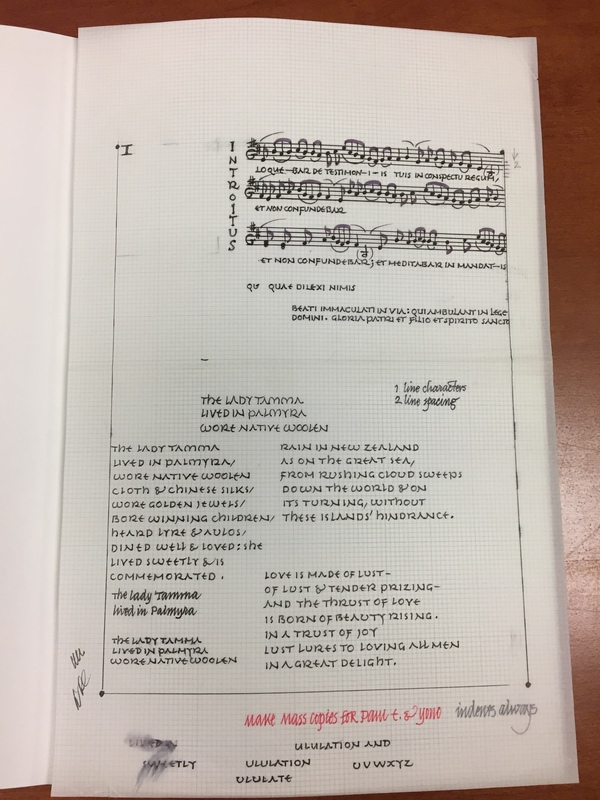 There are musical manuscripts and drafts, poems and drawings, and correspondence with Virgil Thomson and Alan Hovhaness. There are several drafts of the Young Caesar revision. Links to this archival collection and to other collections of Lou Harrison materials may be found in his Wikipedia article, here. We regularly add links to Isham’s archival collections in Wikipedia, and hope you will feel free to add links yourself or to suggest that we do so, so that others may easily discover Isham’s collections. Isham Memorial Library is the special collections unit within the Loeb Music Library. Many of its materials are in open stacks, with rare and unique items held in the locked Merritt Room. To view Merritt Room materials, use your Special Collections Request Account: start by clicking on View Onsite in HOLLIS, then log on and suggest a time you’d like to come and look at the collection. As Isham is not always fully staffed it is advisable to wait for a confirmation message from a staff member before you plan your visit.